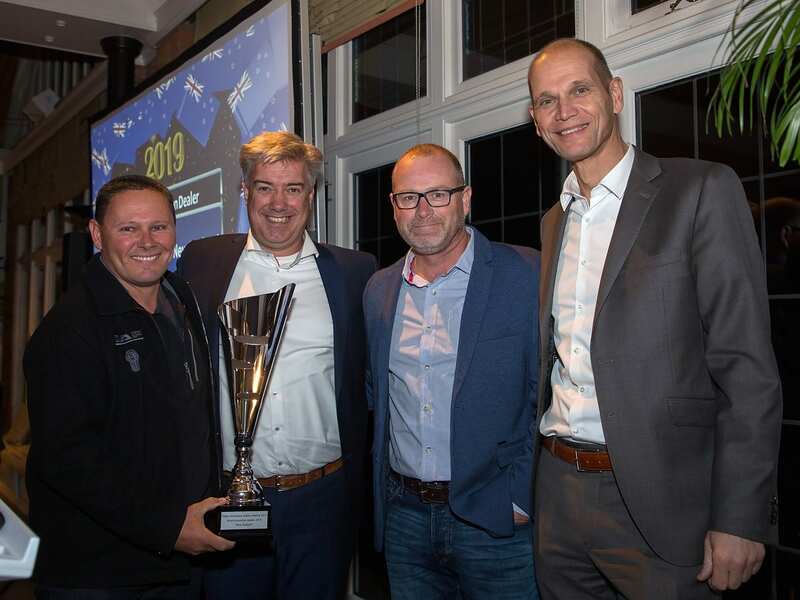 At the DAF Dealer Meeting, Southpac was awarded with the 2018 DAF Dealer Innovation award. Jon Mitchell (National Service Manager) and Richard Smart (General Sales Manager) attended the DAF Dealer Meeting to receive this prestige award. Pictured are Jon Mitchell, Michael de Boer, Richard Smart and Jan van Keulen, Director of DAF Sales Operations. PACCAR values innovation, it’s in their DNA, an essential element when developing new trucks. PACCAR look to their dealers to do the same. DAF complimented Southpac on our innovation to find better ways to grow sales in NZ, create value for their customers and improve parts and service performance. DAF and Southpac sure did that in 2018.